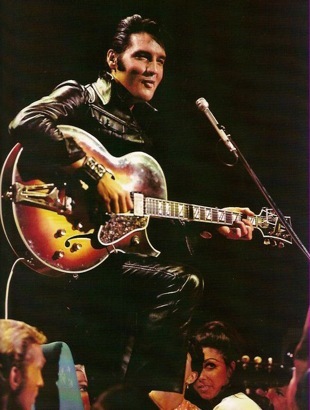 December 3rd is the anniversary of Elvis’s 1968 television special, now commonly known as his “Comeback” special. There is no doubt that it was an extraordinary landmark in his career, as well as a joyous event for all of us who were Elvis fans at that time. Today there are many other Elvis fans who were not even born by December 1968. 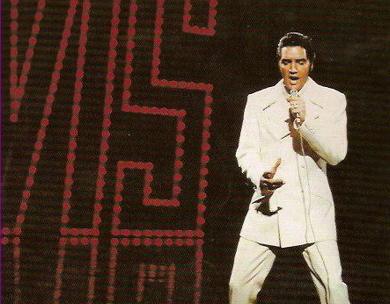 They know Elvis’s first TV special only by viewing it years after the fact on VHS or DVD format. 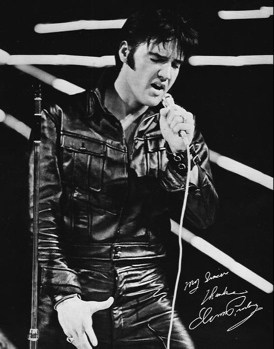 Many of we “vintage” Elvis fans, however, have vivid memories of the Christmas season of 1968, when a leather-clad Elvis made his first TV appearance in over eight years. The special ran again on NBC eight months later on Sunday night, August 17, 1969. For that showing, one change was made in the program’s content. 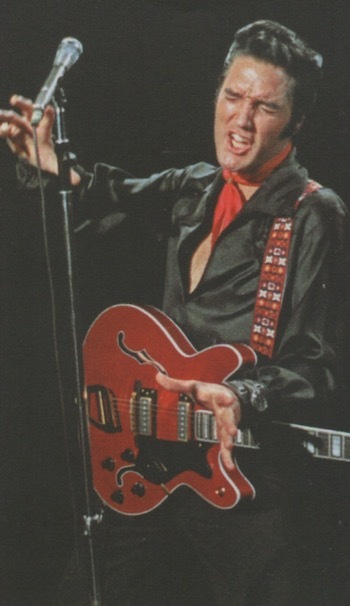 Elvis’s rendition of “Blue Christmas” was replaced with “Tiger Man” in the summer re-run. I watched the initial December airing with some of my Chi Psi fraternity brothers at the University of Washington in Seattle. My grandmother and I watched the August re-run in her living room in Portland, Oregon. 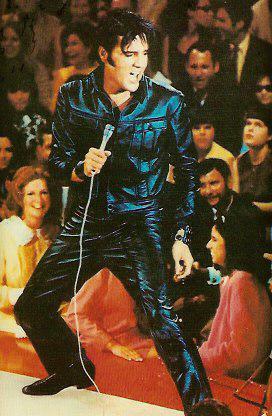 Of course, as a 19-year-old Elvis fan in 1968, viewing that TV special was almost a spiritual experience. I had been an Elvis fan for five years by then and only had seen him in a series of continually disappointing movies. His powerful performance in the special not only validated my faith in his talent, but also gave him some credibility with my fraternity brothers, who previously had taken great glee in teasing me about my fondness for Elvis. Forty years later the generally accepted consensus concerning Elvis’s ’68 TV special is summed up by Ernst Jorgensen in his book Elvis: A Life In Music. 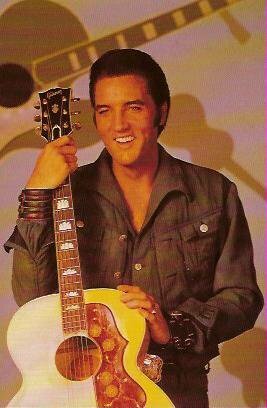 He wrote that the special, “only gave Elvis’ record sales a modest boost at first, but its real effect was much broader and deeper. 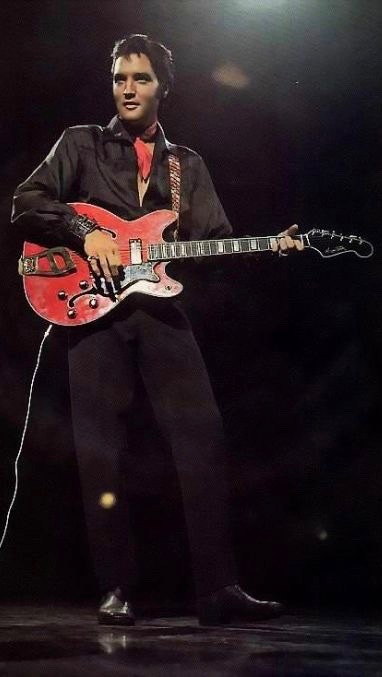 It re-established his place as a dominant force in American music and culture.” Thus, the “Comeback” label, which is generally attached to the ’68 special these days. Believe me, I’m as devoted an Elvis fan today as I was 40 years ago. Reluctantly, though, I have to admit that he was a “dominant force in American music and culture” only during the 1950s, and his ability to shape the same ended when he entered the army in 1958. 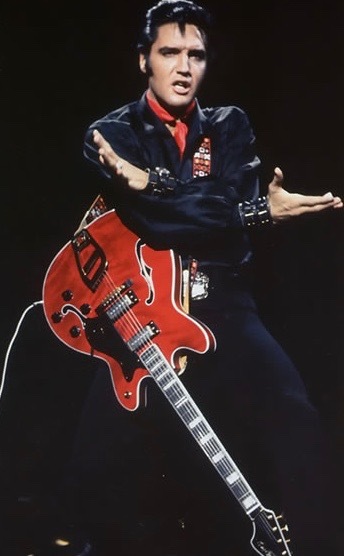 While Elvis was away in Hollywood making movies, rock music had branched out into styles quite different from the basic form Elvis had popularized in the fifties. The purpose of his ’68 special was clearly not to reestablish him as the leader of a new movement in rock. 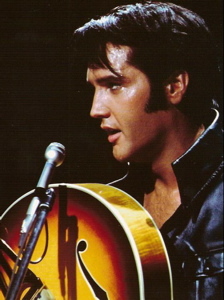 In fact, the intent of that special was to take Elvis back to his old style of music. 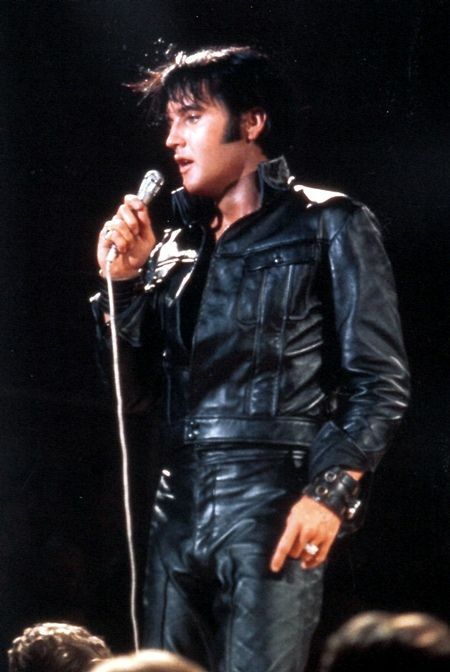 On December 1, 1968, The New York Times printed an article entitled, “Elvis? Ah, The Good Old Days!” by Albert Goldman. (Yeah, the same Albert Goldman, who 13 years later would publish a hatchet-job biography of Elvis.) 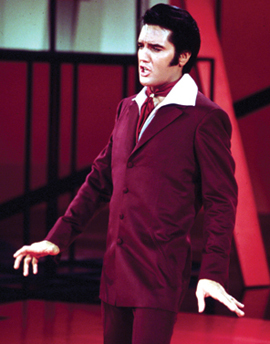 It is clear from the article that Goldman had seen a preview of Elvis’s special that would air on network television two days later. 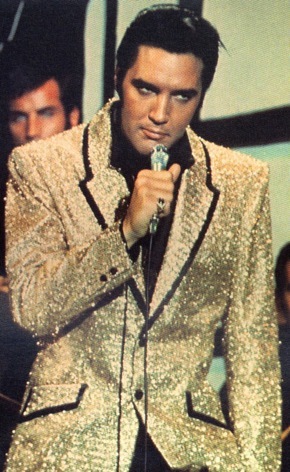 As much as I recent Goldman’s intellectual drivel in his later book about Elvis, I believe he hit upon the essence of Elvis’s TV special in his 1968 article. He said the allure of the program was based upon a cultural force, which he termed IPA—“Indefinitely Prolonged Adolescence.” As Goldman explained it, when a person reaches the years between 18 and 20, they put away “childish” things (like Elvis), go to college, get a job, raise a family, and settle into the responsibilities of adulthood. Then one day, says Goldman, “They’re rooting around in the basement and they uncover a stack of long-ignored records. Hey! Here’s ‘Rip It Up,’ ‘Hound Dog,’ ‘Heartbreak Hotel.’ Let’s bring them upstairs and slip them on the phonograph.” It’s that desire we all feel, periodically, to return to that simpler cultural time of our youth. 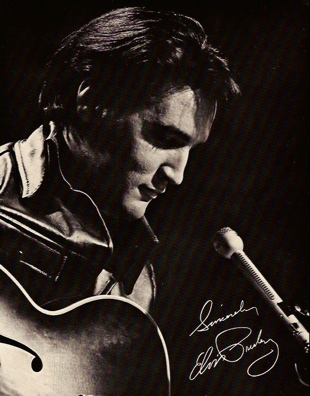 "The show only gave Elvis’ record sales a modest boost at first, but its real effect was much broader and deeper. It re-established his place as a dominant force in American music and culture."